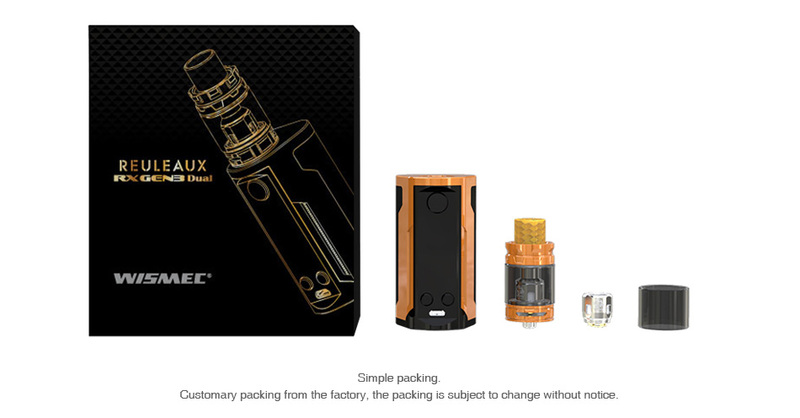 Designed by JayBo, the WISMEC Reuleaux RX GEN3 Dual 230W is a powerful and portable TC Box Kit from the Reuleaux RX family with a Reuleaux RX GEN3 Dual 230W TC MOD and an all-new 2ml/5.8ml Gnome King atomizer. Powered by dual 18650 batteries, the RX GEN3 Dual fires up to 230W max output with advanced VW/TC modes. Together with a large 1.3 inch display, easy-to-go user interface, spring-loaded 510 pin and 2A fast charging, the RX GEN3 Dual 230W will bring you a really simple yet strong vape. Perfectly paired with 2ml/ 5.8ml GNOME King atomizer which has the elegant crown molding shape with the perfect color scheme to bring you a great visual enjoyment. 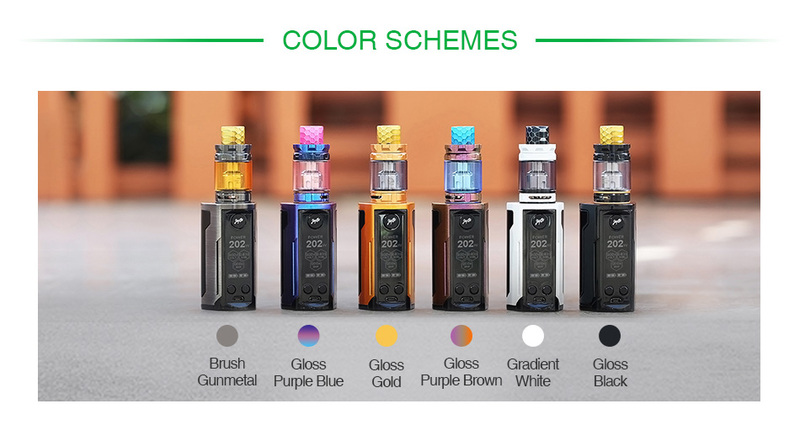 The GNOME King has the most powerful WM coils with an easy retractable top filling design and adjustable bottom airflow control for the best vaping experience. In short, the WISMEC Reuleaux RX GEN3 Dual is definitely a great vaping device for cloud chasers! It doesn't come with liquids, you could buy them separately. NO battery. You shall select 18650 batteries separately. You also can get additional replacement WM coils separately.